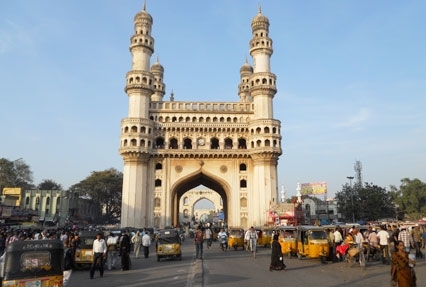 Hyderabad is culturally rich city of India. Renowned as the City of Nawabs, it specializes in aromatic biryani made from lamb and chicken. The traditions of the city have been passed down from Nizam monarchy. 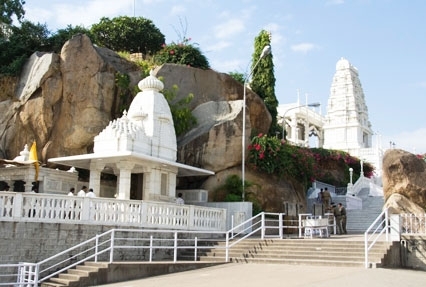 The Hyderabad Tour with Ramoji Film City offers you a chance to visit some of the historical monuments, amusement parks, holy places and museums in the city..
Apart from sightseeing, you can also go for boating, joy rides and much more. Read the itinerary for further details. On your arrival at Hyderabad airport, meet our IHPL guide. Begin your tour by visiting the beautiful monument, Char Minar; it is an amazing blend of granite, lime and mortar around which the state of Hyderabad started. With four great gates, Char Minar is the oldest mosque in the Hyderabad. You then head to Mecca Mosque, the biggest Mosque in Hyderabad. The structure of the mosque is similar to that of Mecca Madina in Saudi Arabia. It is one of the largest mosques in India, which can accommodate thousand of devotees at a time. 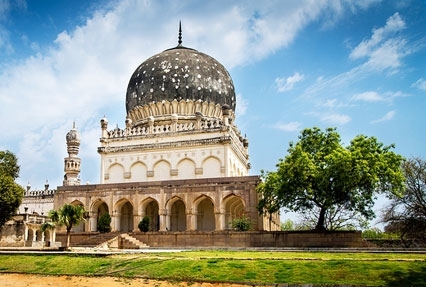 Further, you visit the Qutaub Shahi Tomb, which represents the architectural tradition of Qutub Shahi dynasty. The tombs are set up in different styles, depicting Hindu, Persian and Pathan forms. On 2nd day of the tour, pay your visit to famous Birla temple, dedicated to Lord Vishnu. The temple is a great blend of three different architectures; South-Indian, Utkala and Rajasthan. Settled at an altitude up to 280 ft, the temple offers you an amazing view of the city. You then head to the Salarjung Museum, which is a storehouse of various historic artifacts of the country. The collections include several Jade daggers belonging to Emperor Jahangir, Noor Jahan and Shah Jahan and the wardrobe of Tipu Sultan. Further, enjoy the boat ride at Hussain Sagar Lake. Soothing your mind and soul, Hussain Sagar is one of the pristine lakes of Hyderabad. During your ride you can see the huge statue of Buddha standing on the ‘Rock of Gibraltar’ in the centre. Located near to Hussain Sagar, you can also relish the picturesque NTR garden. The garden looks amazing with colorful flowers. Now, proceed towards the fascinating laser show at Lumbini Gardens. It is one of the prime attractions, where you get to see the water shot up in sky, making a water screen. The 3rd day of the tour is quite exciting and fun filled. Proceed to Ramoji Film City and explore the place with the tour guide. 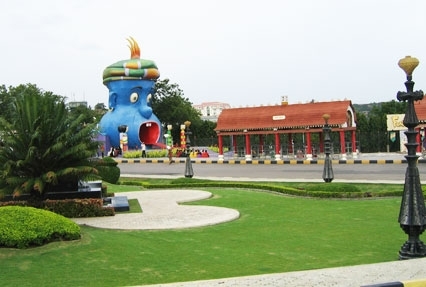 Ramoji is one of the largest integrated film studios (certified by Guinness book of World records) which offer spectacular locations, games, rides, shows and other unlimited fun. There are number of films directed here in different languages; whether Hindi, Telugu, Malayalam, Kannada and Bengali. Packed with all natural and artificial entertainment options including picturesque landscapes, film-sets, amusement parks, statues, lamps, miniatures and hotels; Ramoji is truly a wonderland. On the last day of the tour, you head to Hyderabad airport. Board the flight for your onward journey.